We’re excited. This is, we believe, our first ever Dumbo Street Couch. It’s in front of Powerhouse Arena and if we’re not mistaken, we’re seeing two couches and a matress. How come I never find one of these street couches when I’m bone weary and want to sit down. 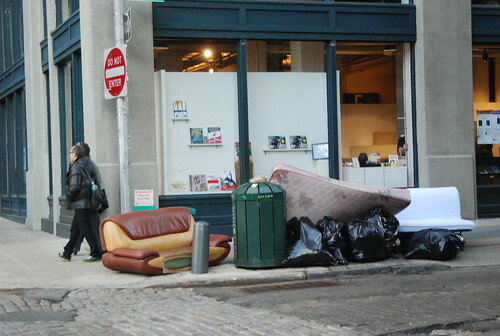 But yeah, this one may be the first street couch in Dumbo on GL.